University of California San Diego scientists have been selected by The Defense Advanced Research Projects Agency (DARPA) to be part of a “Safe Genes” research team that will receive up to $14.9 million to study an innovative genetic research technique as a way to control disease-causing mosquitoes. Led by UC Riverside’s Omar Akbari, assistant professor of entomology, the project will focus on a technique known as gene drive, which can spread desirable genes in wild populations and suppress harmful organisms. 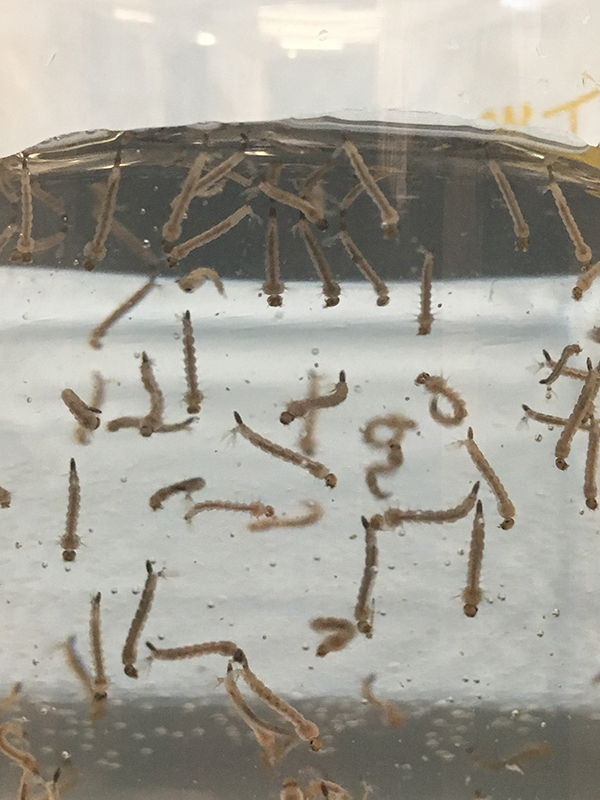 The researchers want to understand the potential risks and benefits of using gene drives to control mosquitos that carry diseases including Zika, chikungunya, dengue and yellow fever. Gene drives have received broad attention because the new CRISPR/Cas9 gene-editing technique has the potential to create, streamline and improve the development of gene drives. This effort seeks to develop new tools which should aid in the assessment of the effectiveness and safety of the technology by scientists, policy makers and the public. 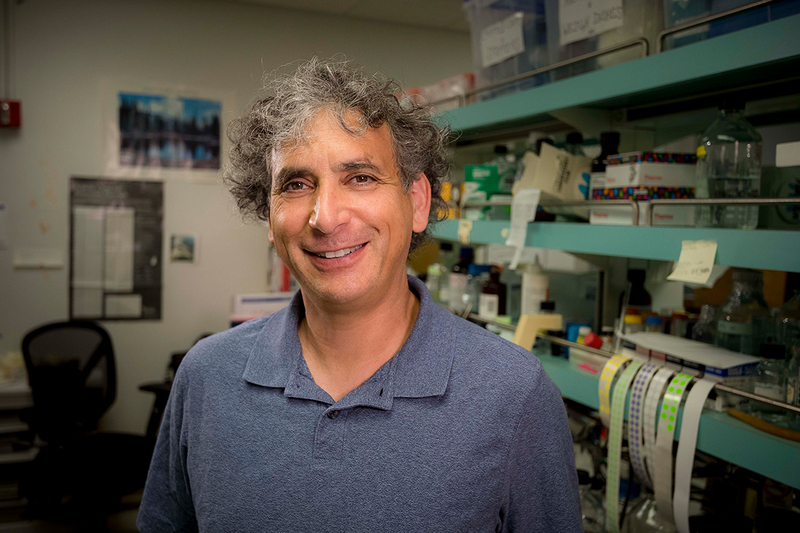 UC San Diego Professor Ethan Bier and research scientist Valentino Gantz, collaborators on the new DARPA project, recently developed a breakthrough gene-drive technology called Active Genetics, which controls the transmission of genetic traits. The technology is a driving force behind the new Tata Institute for Genetics and Society (TIGS), established last year to focus on immunizing mosquitoes in the Anopheline genus against malaria disease transmission in India. 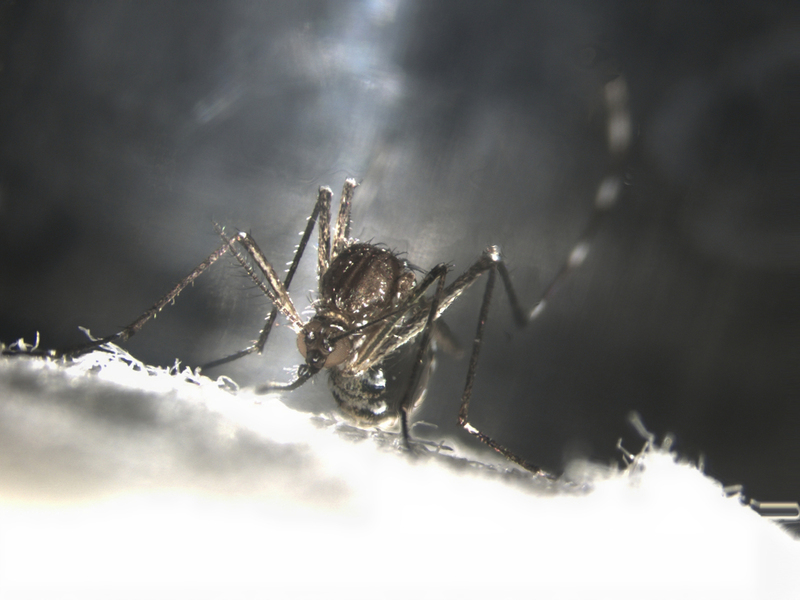 The UC San Diego effort will focus on controlling a complementary group of mosquitoes (Aedes genus) that transmit viral diseases (dengue, Zika, chikungunya and yellow fever) in California. The effort also includes a social component, led by Cinnamon Bloss, an assistant professor at UC San Diego’s School of Medicine and affiliate of the Qualcomm Institute, which aims to assess and clarify public concerns regarding gene drives in the U.S. (California). “The parallel pursuit of gene-drive solutions to vector borne disease problems of global significance in both the U.S. and India will help define the scientific and ethical framework for possible implementation of this technology for practical applications,” said Bier. 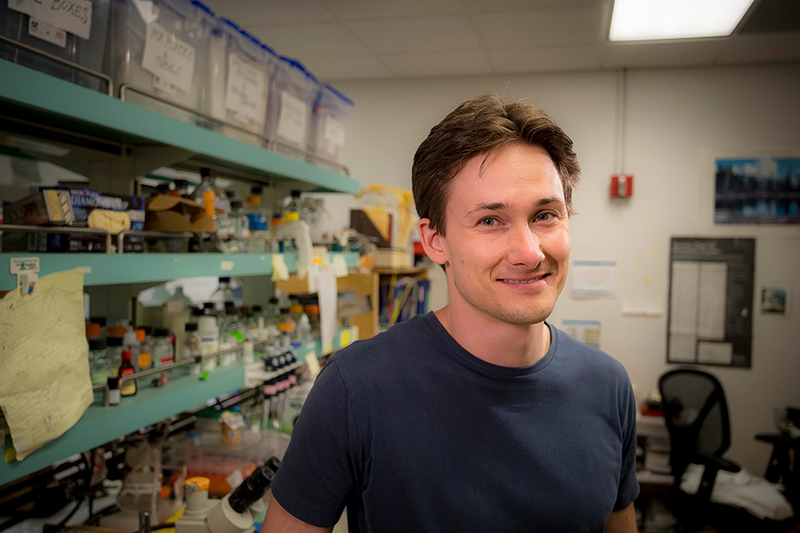 UC San Diego researchers including Meyer and Sergey Kryazhimskiy will aim to answer these questions by studying gene drives in baker’s yeast, a microorganism that undergoes multiple generations in a day and hundreds within months. These studies will help the researchers design gene drives that may be better able to withstand the test of time, said Meyer. Bier and Gantz are also part of a separate DARPA Safe Genes project to test conditionally active forms of Cas-9 (such as drug-regulated forms of the Cas9 enzyme), which could be used to help restrict gene-editing activity to specific cell types at particular times to achieve greater control over the system and potentially to limit unwanted side-effects such as off-target mutations. Insects that carry disease represent one of the greatest worldwide threats to human health with billions of people currently at risk of infection. Last year, more than 700 million people were infected with malaria or dengue fever, resulting in 440,000 deaths. Now the prevalence of Zika virus is rising. Protecting the public from these diseases is difficult. Vaccines to prevent the diseases either don’t exist or are not effective. Current mosquito control methods are inadequate as many mosquito populations have become resistant, leading to a critical need for a transformative, species-specific, safe and effective method to control mosquitoes. Recent advances in genetics and molecular biology have allowed researchers to use the gene drive technique to introduce genetic elements into enclosed populations to enforce the continued inheritance of selected genes. These elements function by biasing their transmission frequencies at rates significantly greater than the normal 50 percent, resulting in rapid spread throughout a population. Although gene drives have been discussed and studied for decades, the CRISPR/Cas9 gene editing technique, which relies on a Cas9 protein targeted to a specific genomic location by guide RNAs, has recently revolutionized the development of gene drive systems because it offers an inexpensive, efficient and reliable way to make precise, targeted changes to the genome. With the DARPA project, the researchers aim to develop and test several innovative gene drive approaches, including potential neutralization strategies to halt the unwanted spread of such systems. The team will also integrate ecological data by sampling and sequencing wild mosquitoes captured from locations spanning California. This data will help inform the designs of the drives and help predict how gene drives might behave in a natural setting. The initial research will focus on the Aedes aegypti mosquito, which spreads diseases including Zika, dengue and yellow fever. But the technologies they develop are meant to be generalizable so they can be later applied to other mosquito species that are responsible for spreading other diseases, such as malaria and West Nile virus. In addition to Akbari, Bier, Bloss, Gantz, James, Kryazhimskiy and Meyer, team members include Craig Montell (UC Santa Barbara); Gregory Lanzaro (UC Davis) and John Marshall (UC Berkeley).